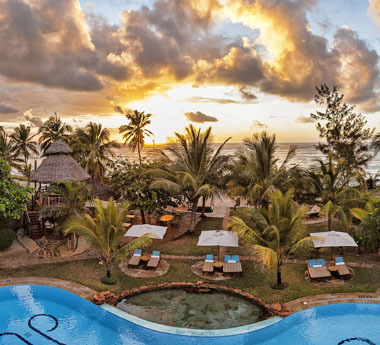 Most famous for its wildlife destinations, Kenya is also home to a long stretch of dazzling Indian Ocean coastline sprinkled with tropical islands. 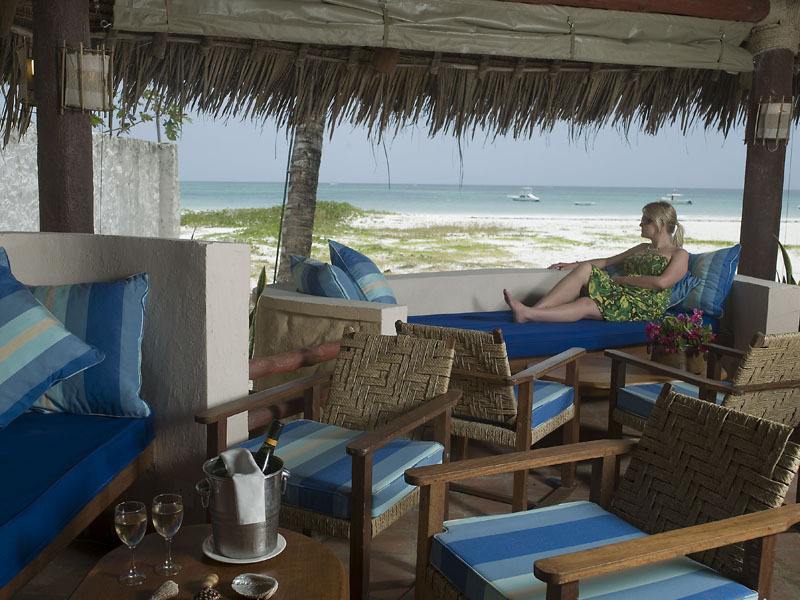 Combining them is simple: what better reward for the safari traveller than to enjoy a relaxing Kenya beach holiday after all those long days on the Masai Mara? 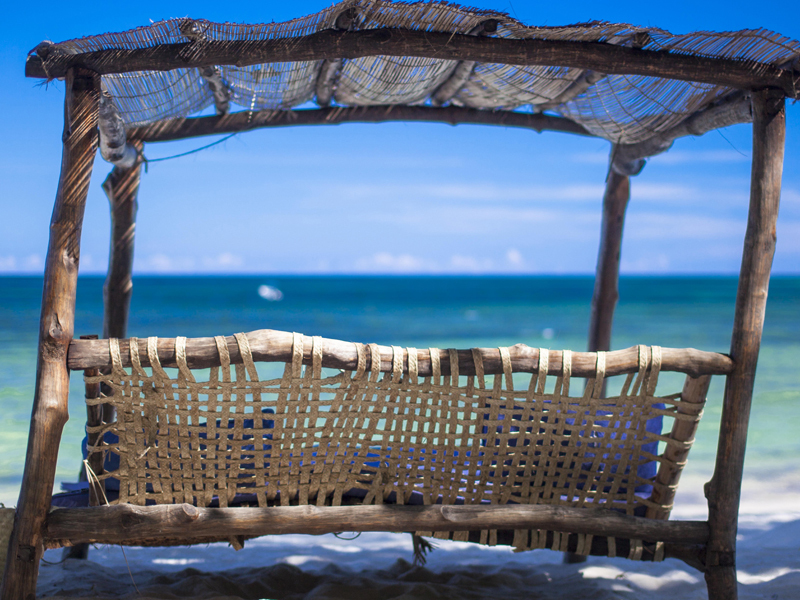 Kenya beaches include some of the finest in Africa: postcard-perfect landscapes of snow-white beaches and rustling palm trees with coral reefs lying offshore, making for excellent diving and snorkelling, especially when migrating whale sharks pass through the region. 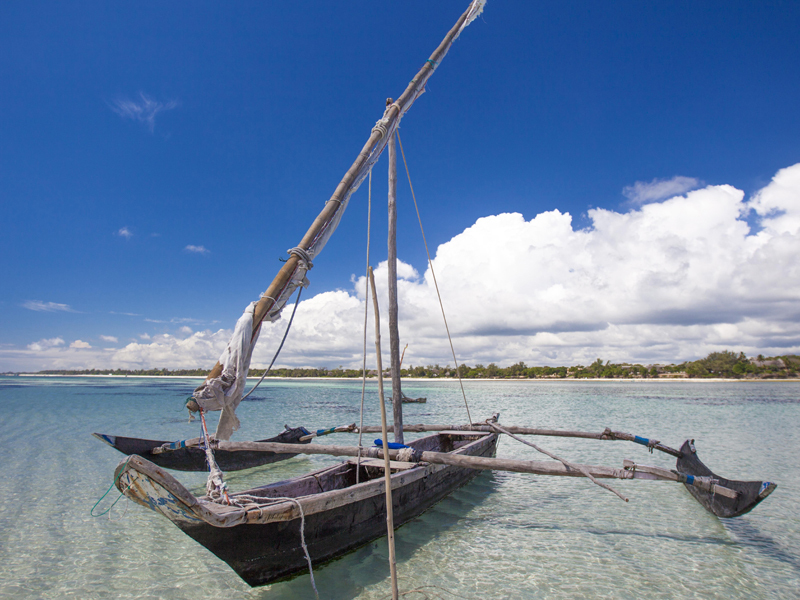 They are also some of the easiest and most affordable Indian Ocean destinations to access, giving travellers great value alternatives to Zanzibar and the Seychelles. 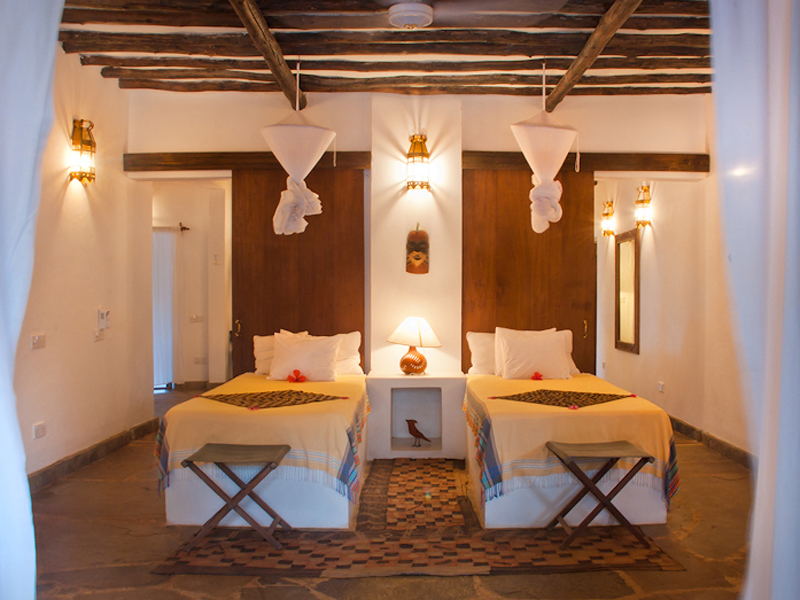 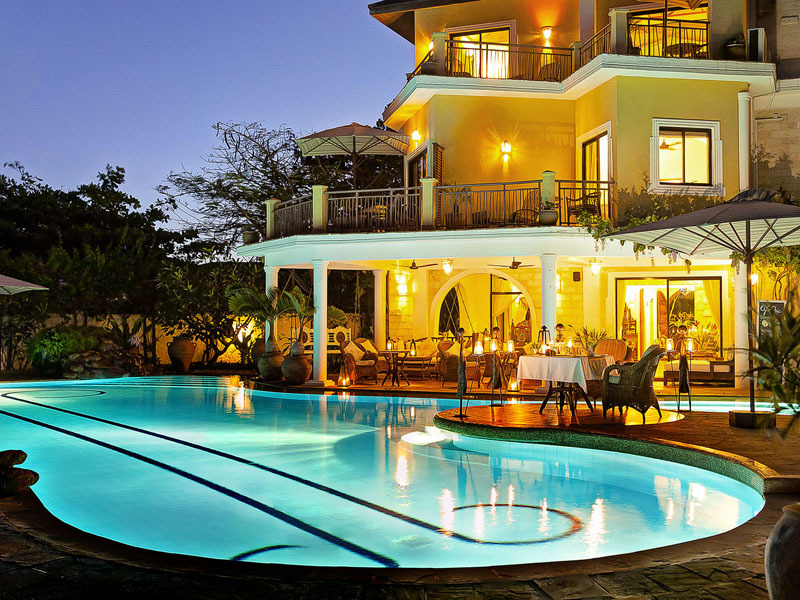 It’s a destination that appeals to all types of traveller and the accommodation reflects this, a range of hotels and resorts to suit all types, whether privacy-seeking honeymooners, families with children or adventure-seeking couples and groups of friends. 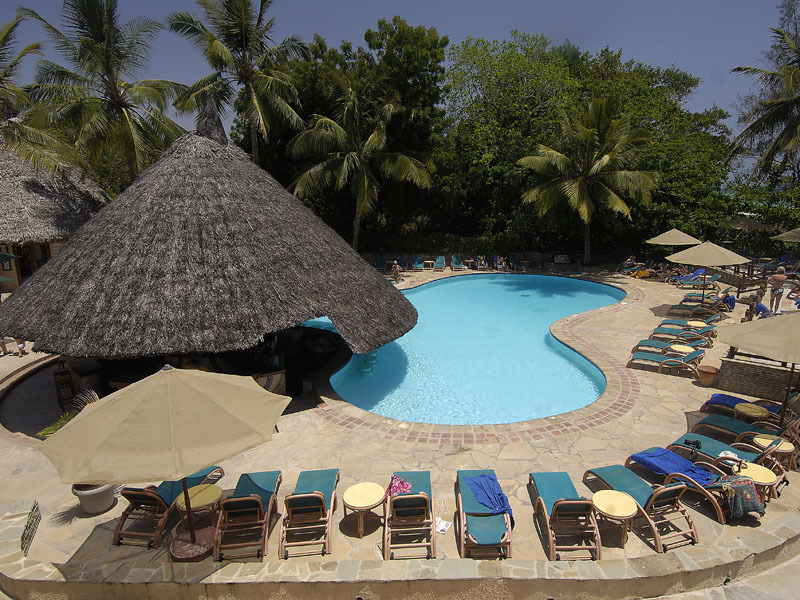 You’ll always fly in, usually from your safari destination to Kenya’s coastal city of Mombasa and travel then by road to your hotel. 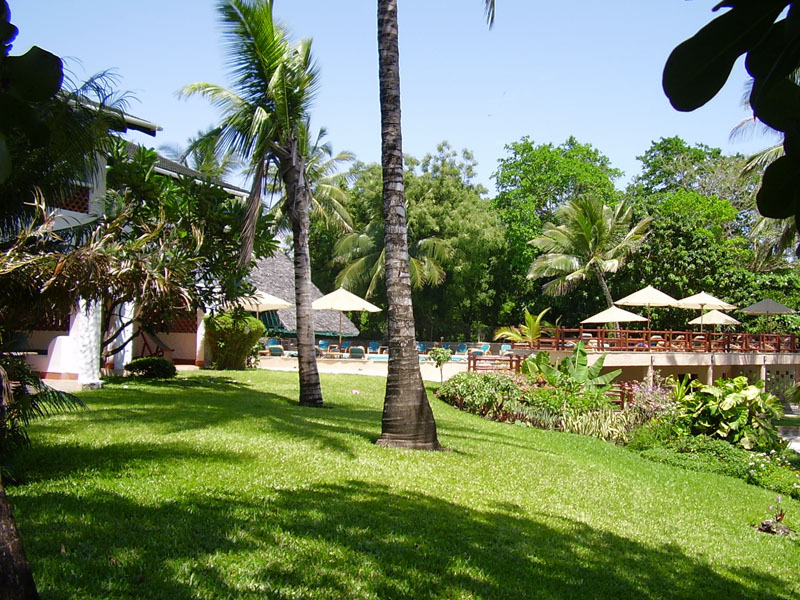 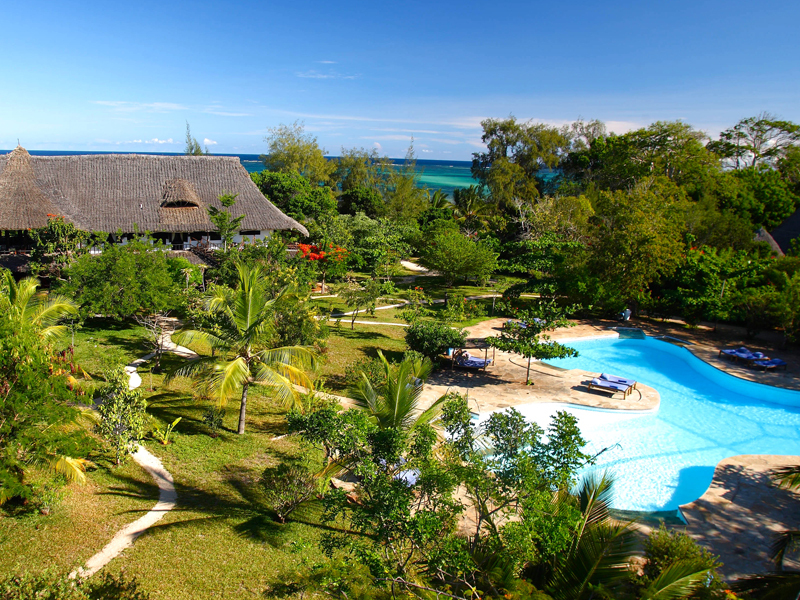 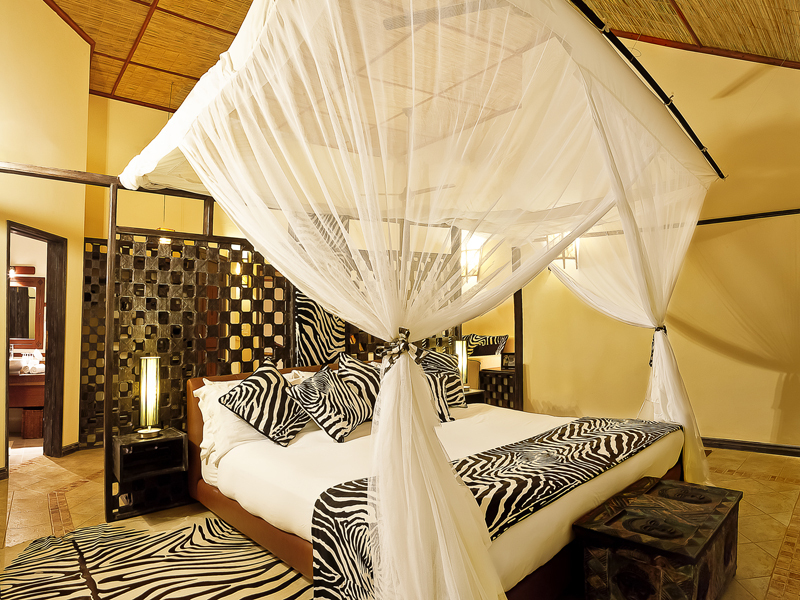 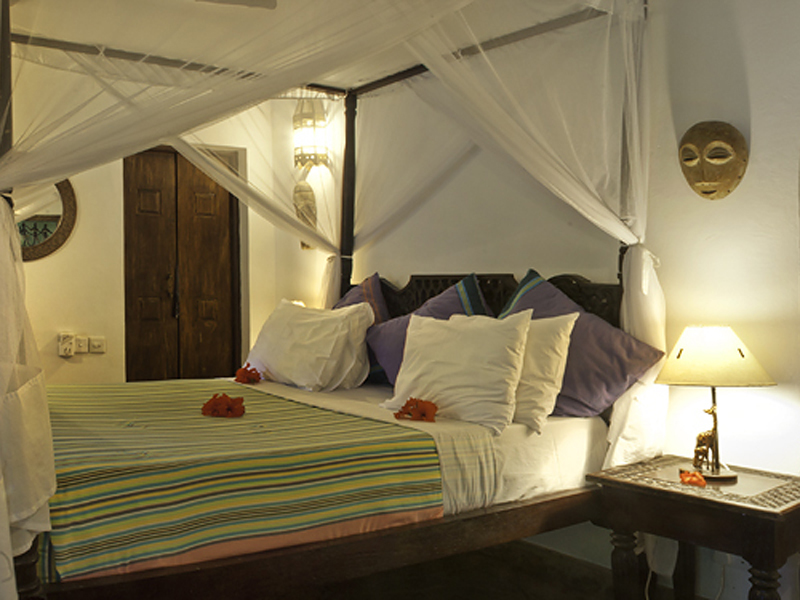 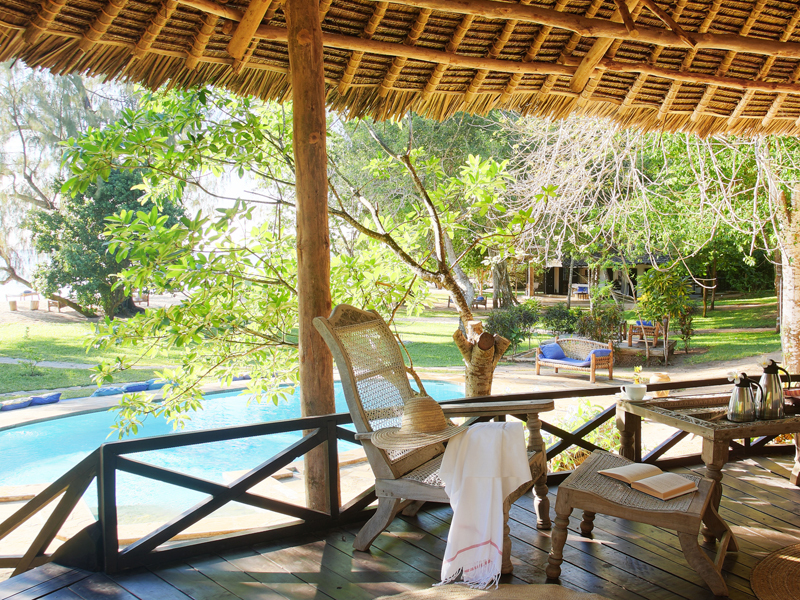 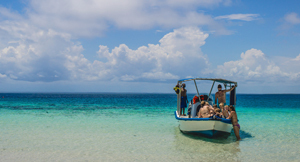 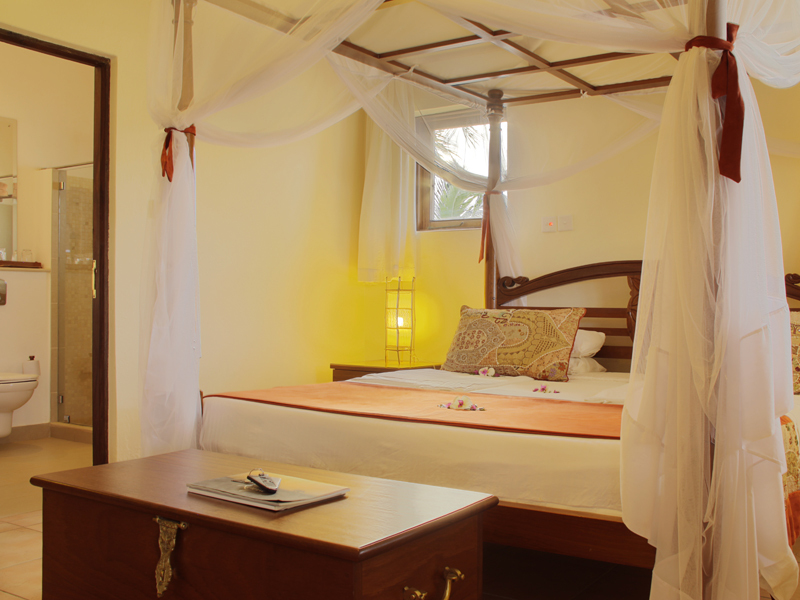 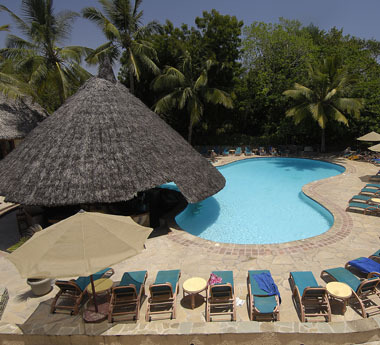 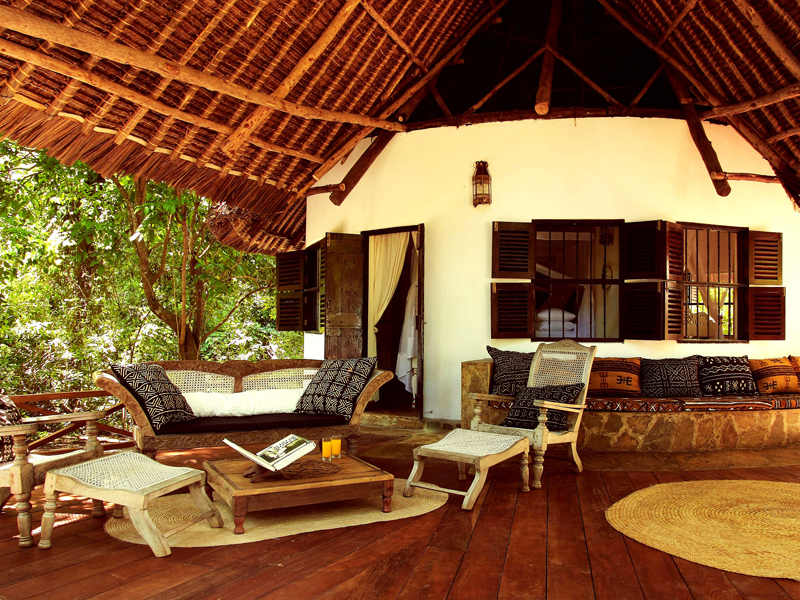 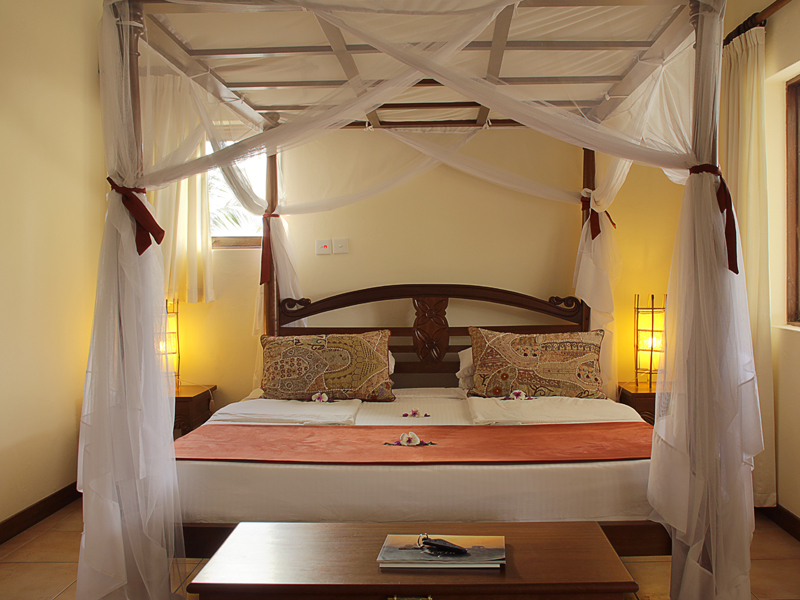 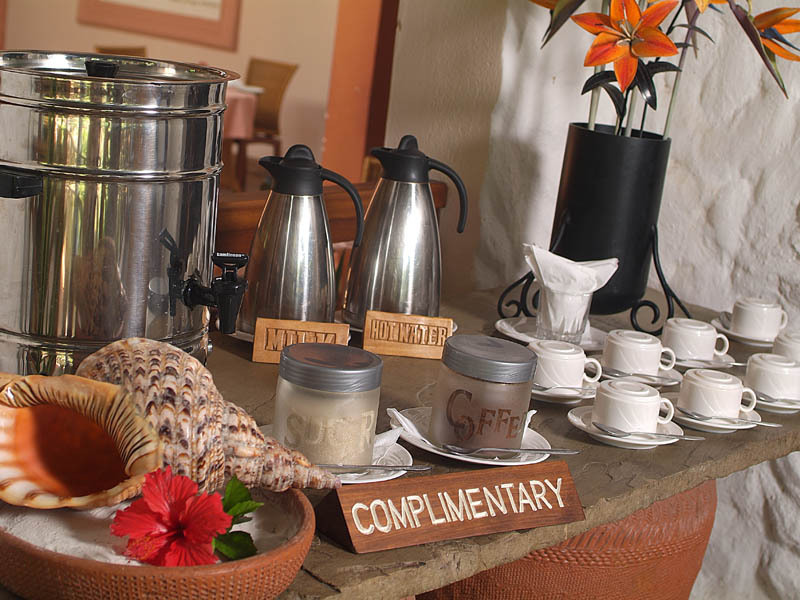 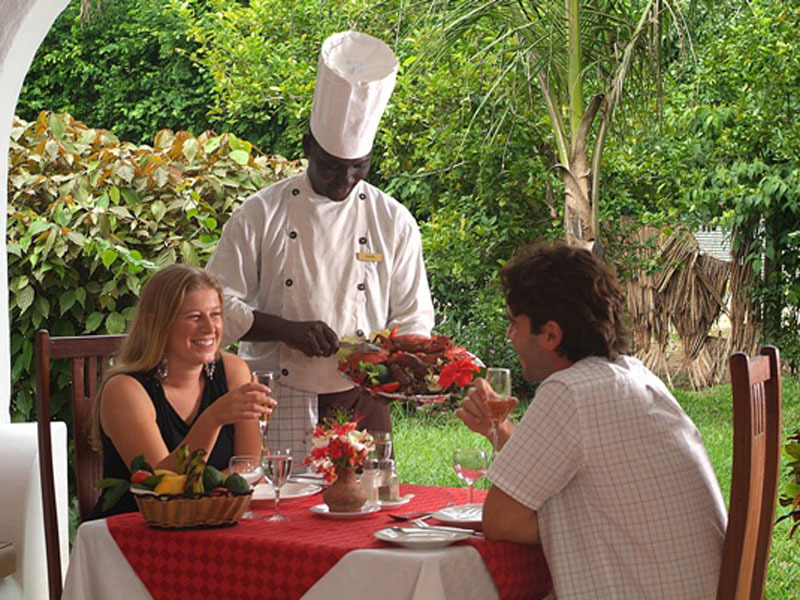 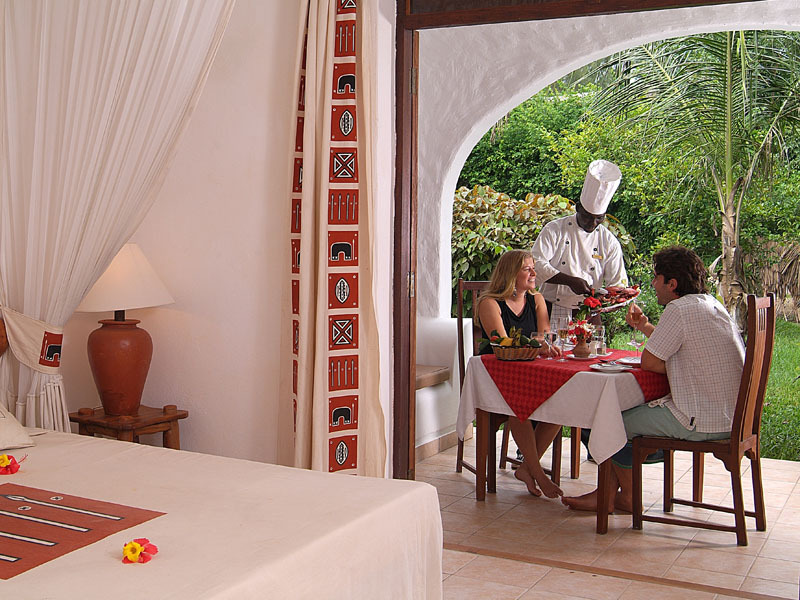 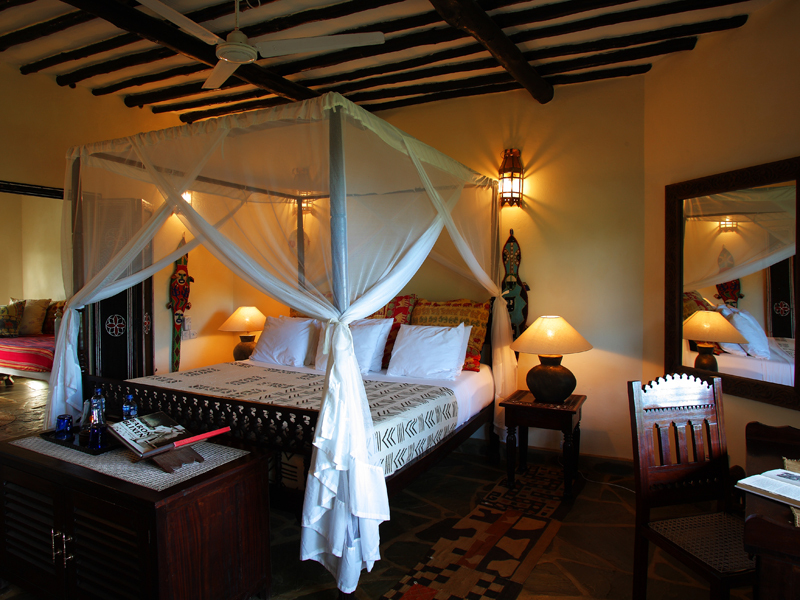 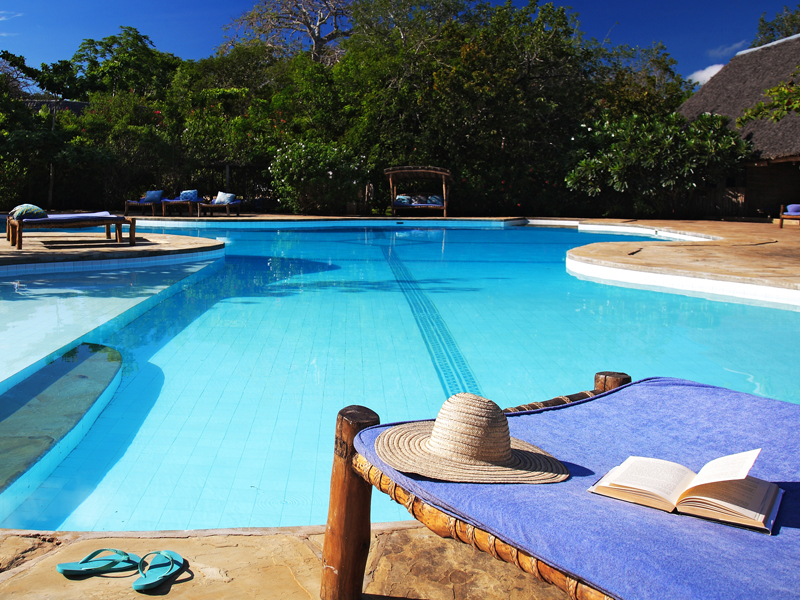 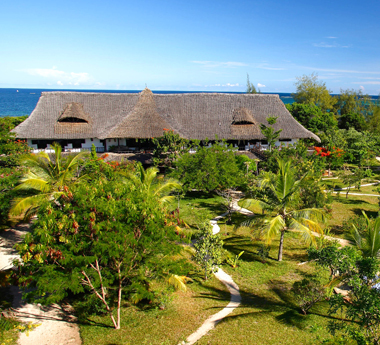 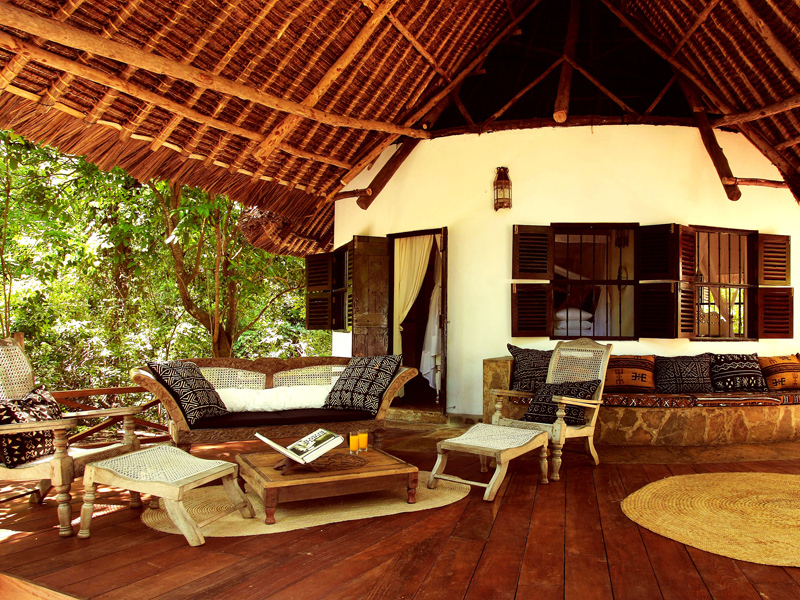 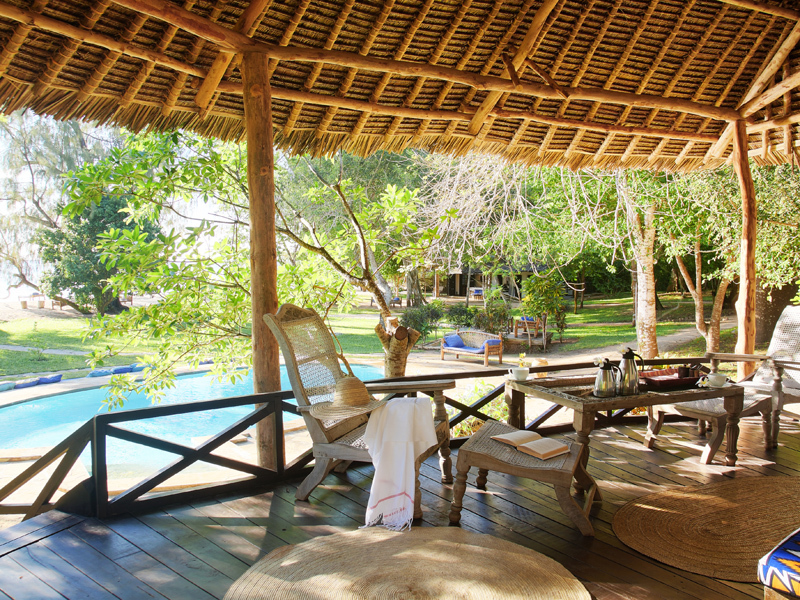 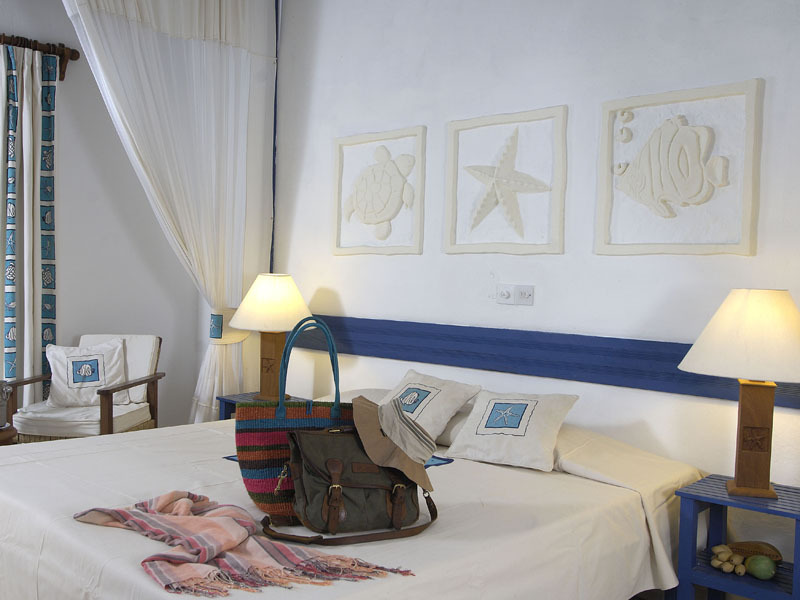 Kenya beach accommodations are generally well-equipped with swimming pools, dive centres, spas and sport facilities, and usually offer a wide range of local tours from sunset boat cruises to wildlife watching or even a round of golf. 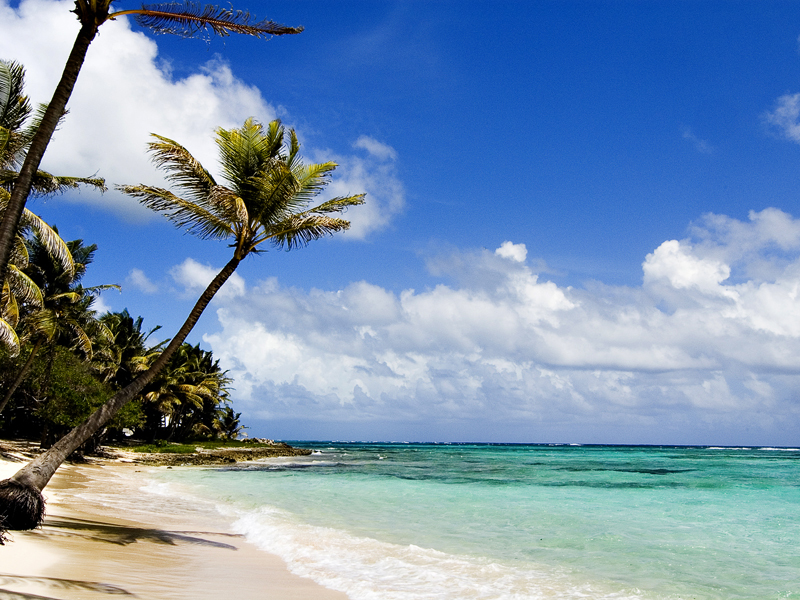 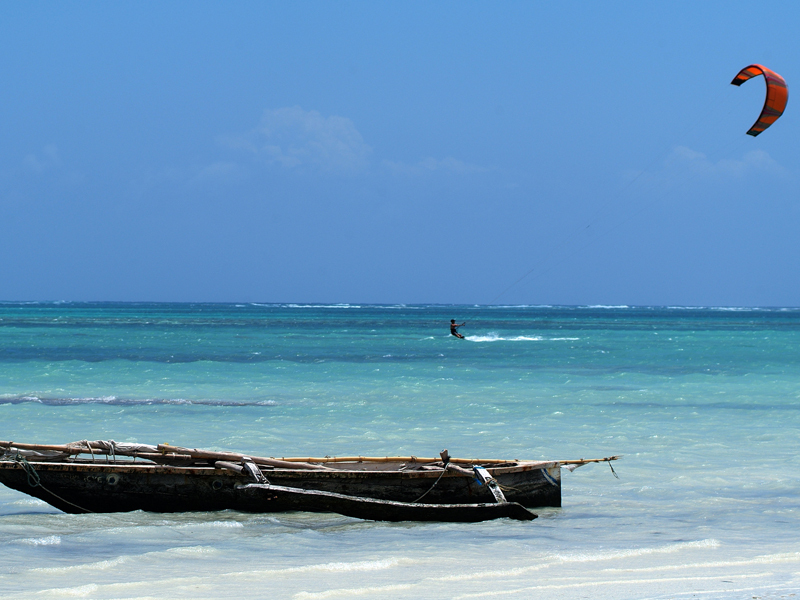 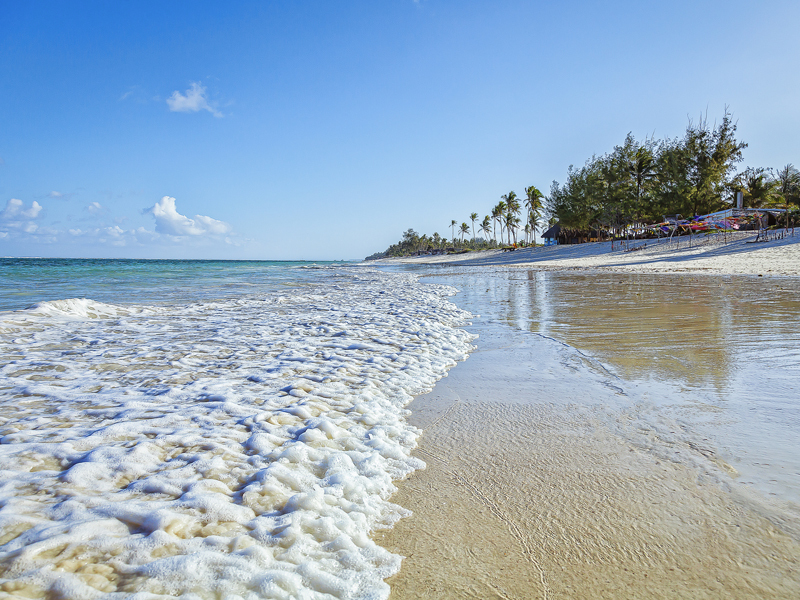 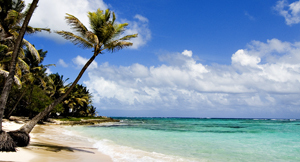 Kenya’s Indian Ocean coast is mostly hot and humid throughout the year with annual daytime temperatures averaging between 27 and 31°C (80 and 88°F). 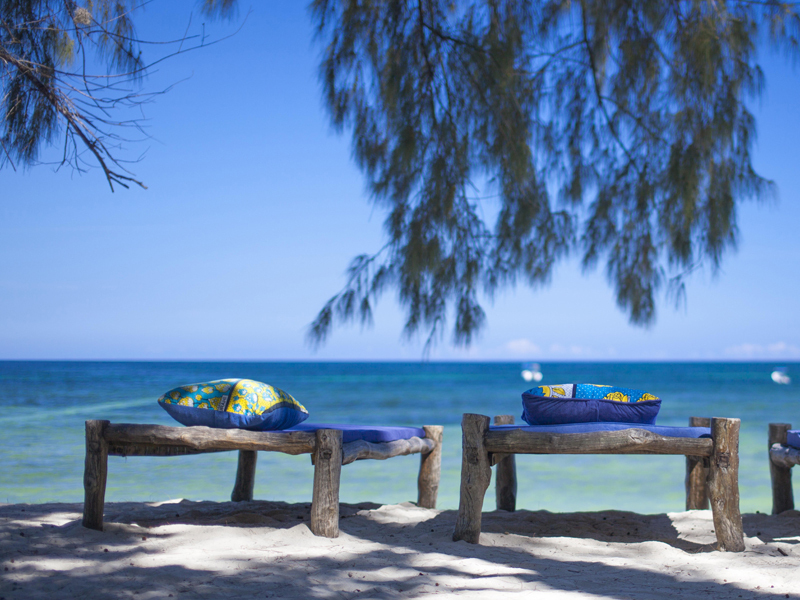 The best time to go on a Kenya beach holiday is from early October to January as these months offer the best conditions for diving and snorkelling. 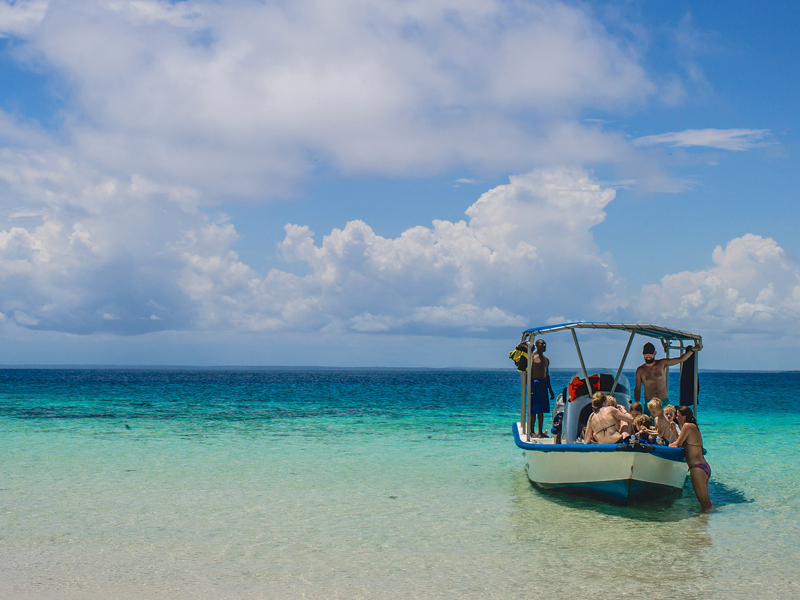 The best whale shark sightings are between January and March. 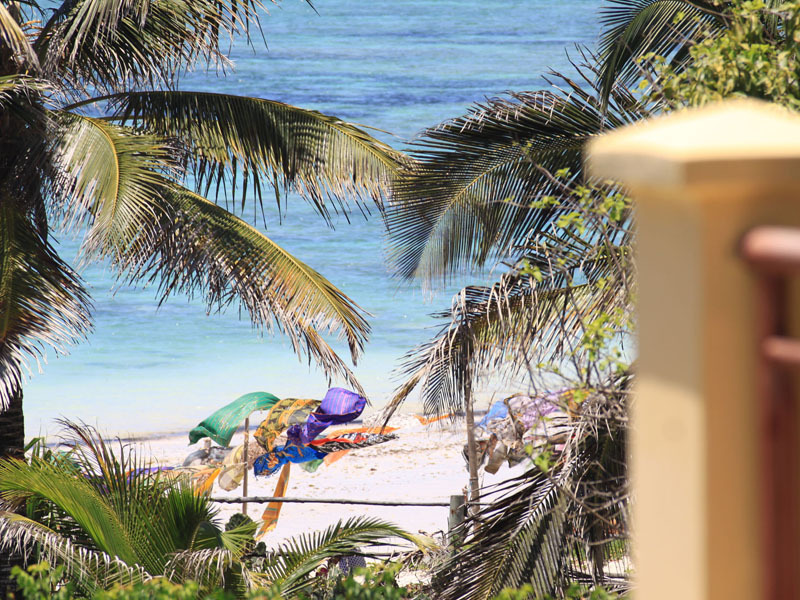 Rain is possible at any time of year but it is wettest and hottest from mid-March to late May and we’d recommend avoiding Kenya’s coast at this time. 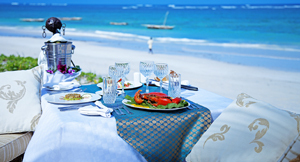 Browse our selection of tours where we have combined a classic big game safari with a Kenya beach holiday or simply contact us with an idea of your requirements and budget and we’ll take tailor-make you an itinerary. 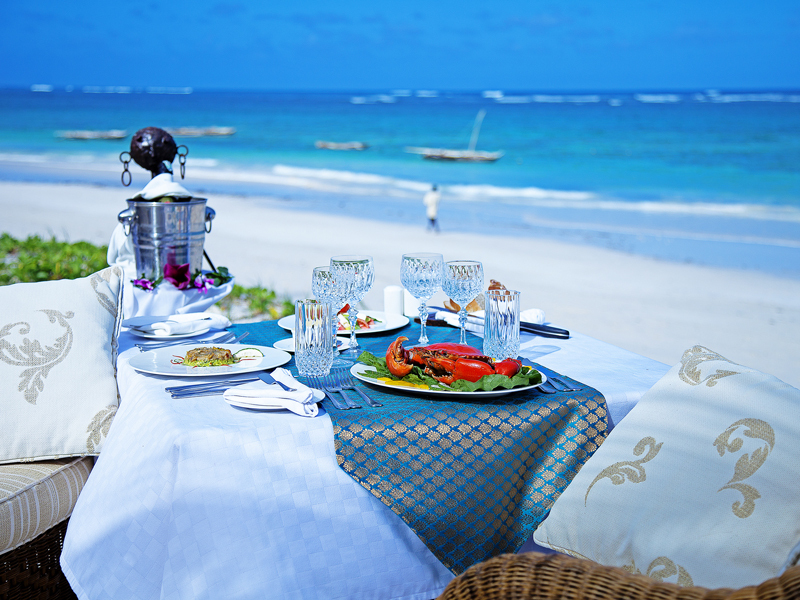 It’s been a tough year: relax & recharge on powder-soft beaches & let someone else take care of things – the big decision to make today is what to order for lunch. 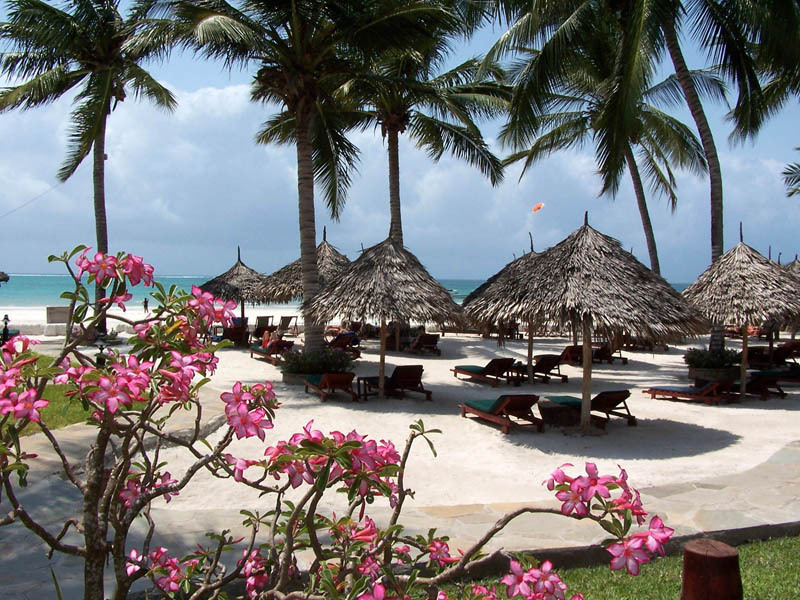 Ask us about beach resorts that specialise in the active side of things from windsurfing & scuba diving to air-conditioned gyms & yoga classes. 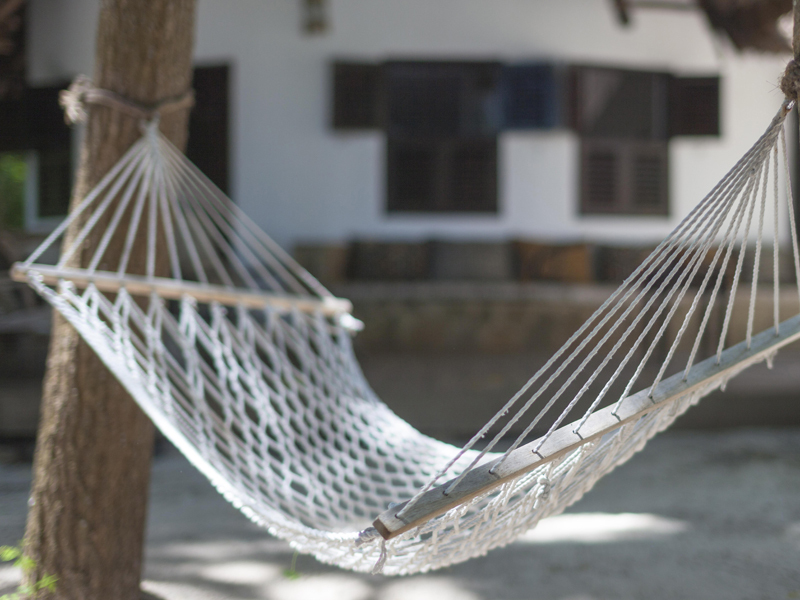 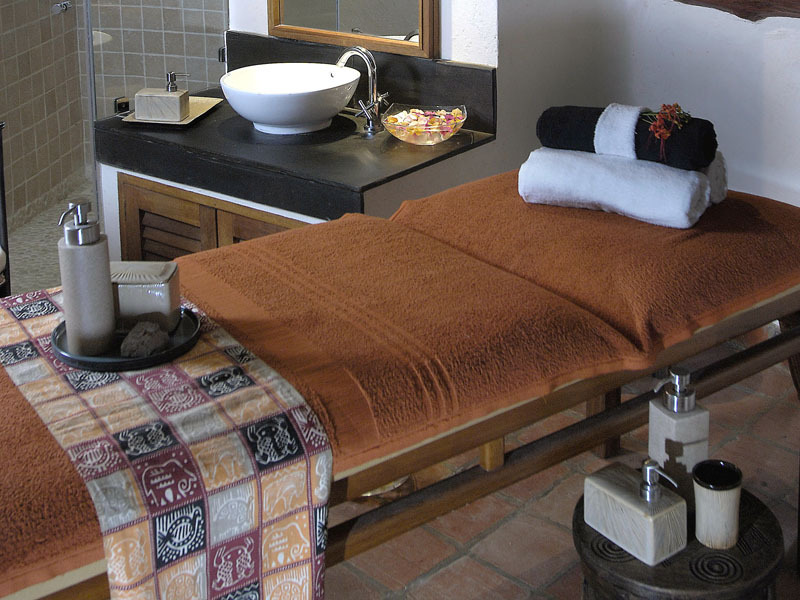 Treat yourself to a soothing massage or invigorating wellness treatment; most Kenya beach lodges have an in-house spa – ask us about the best ones. 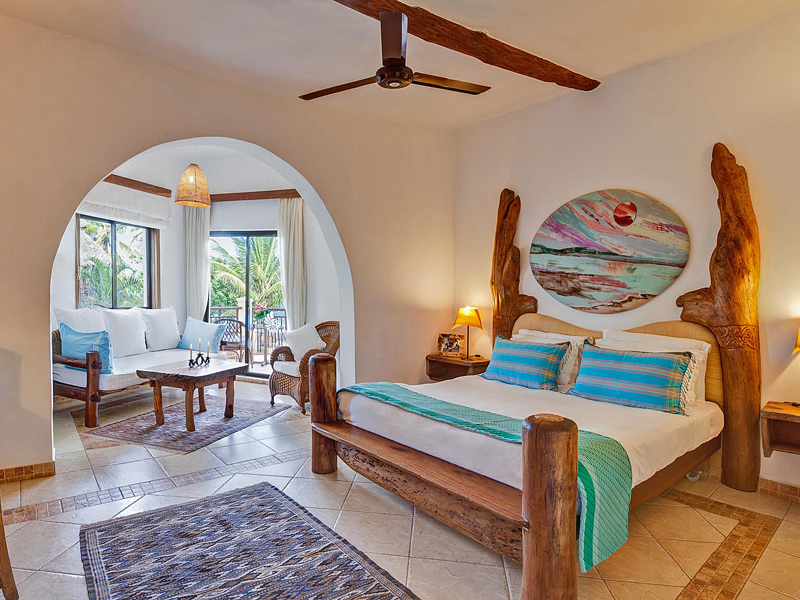 What better place to celebrate a special occasion than one where you have a secluded suite with private pool & private, candle-lit suppers by the ocean? 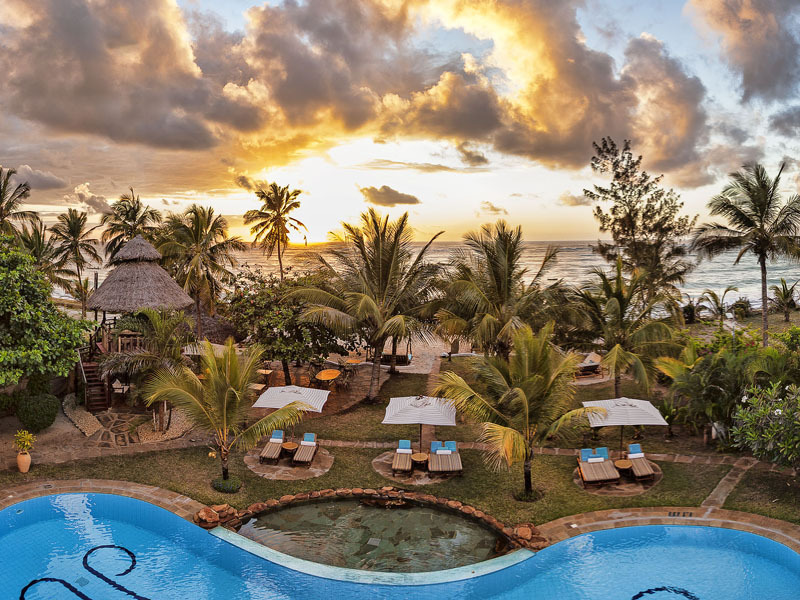 A warm, safe ocean to swim in; ball sports & water activities; easy menus & Wi-Fi: Kenya’s beaches are made for the whole family to have fun in the sun. 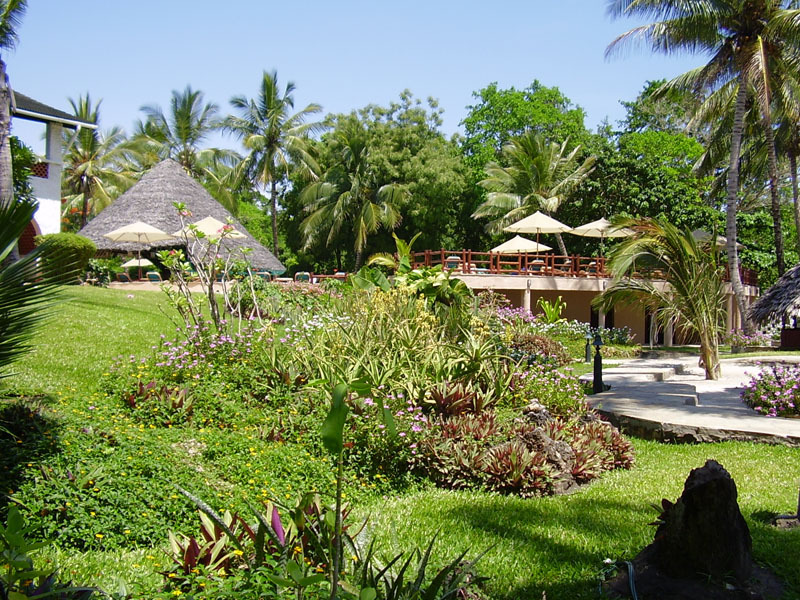 Surrounded by lush forest, this owner-managed hideaway is the only hotel on private Galu Beach & is as comfortable hosting families as it is with honeymooners & discerning travellers looking for a quiet getaway. 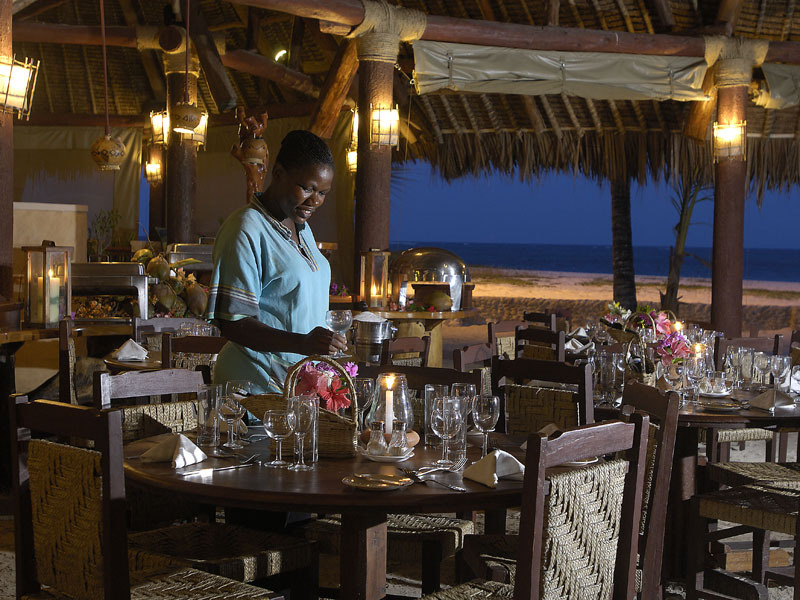 Yoga classes are among the many activities offered & as there is no dedicated dining area, meals may be served on the beach or a moon-lit terrace. 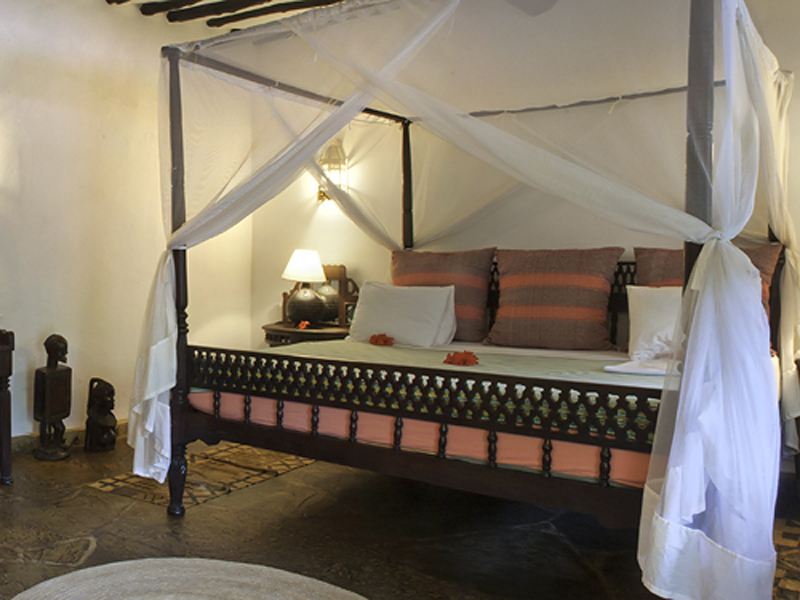 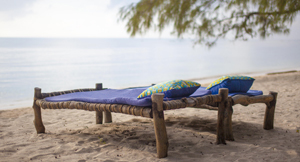 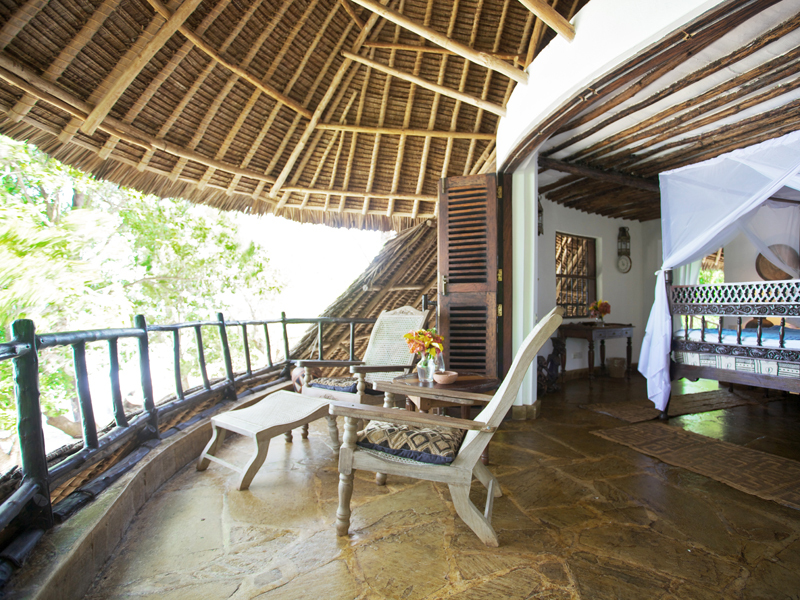 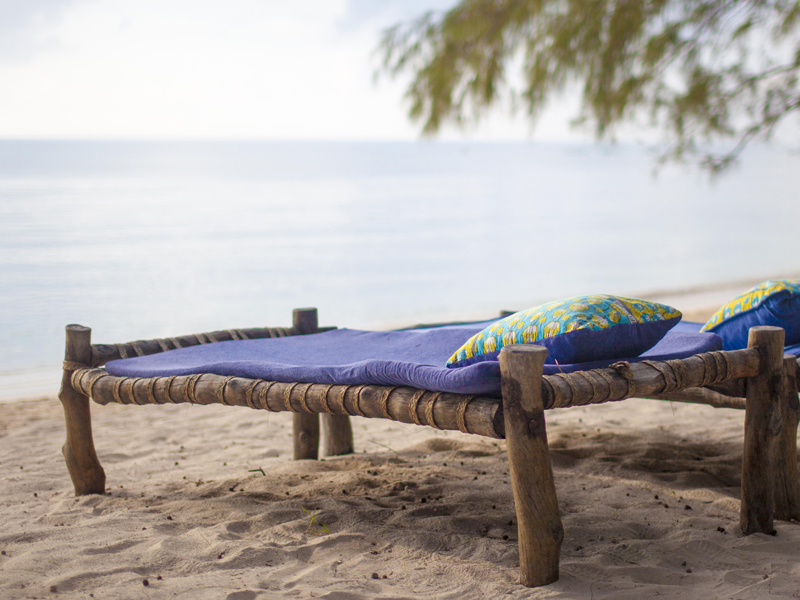 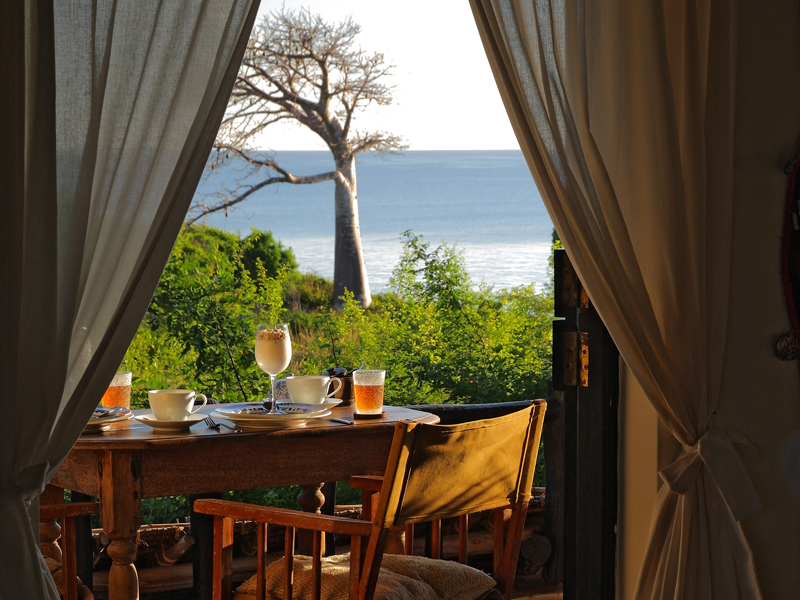 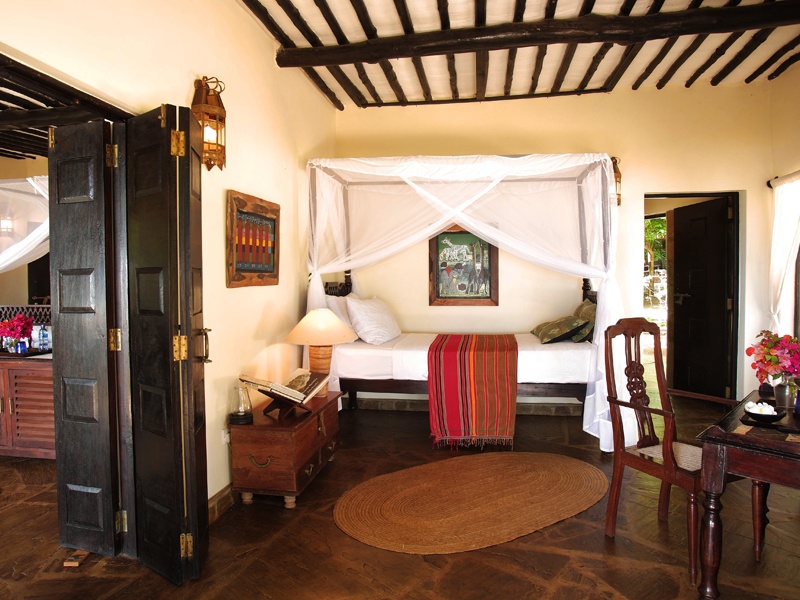 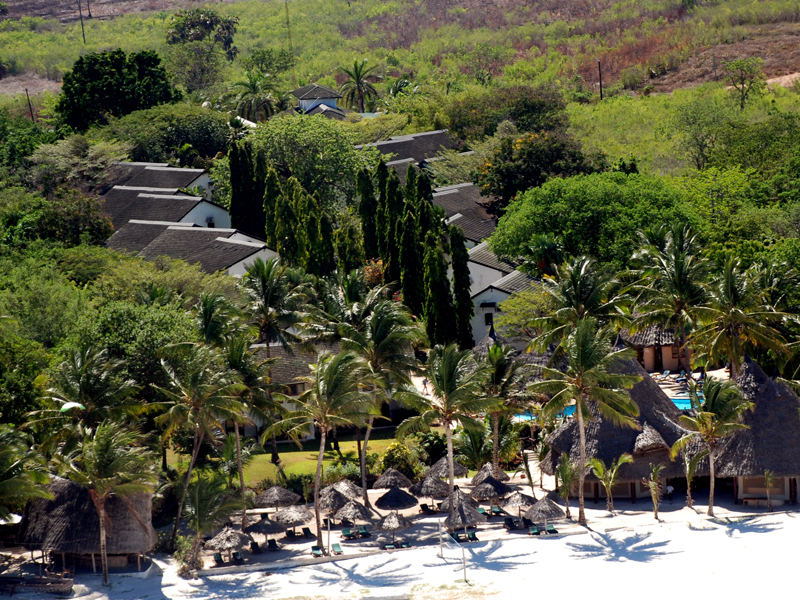 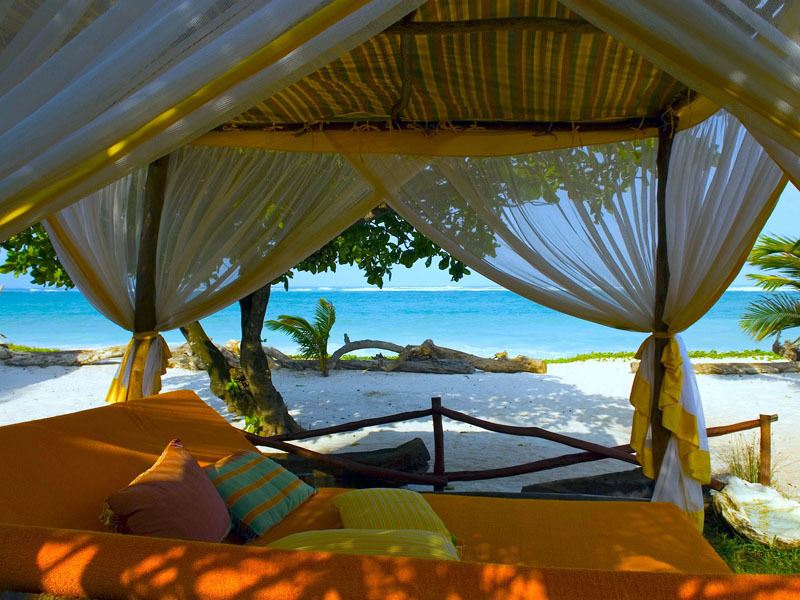 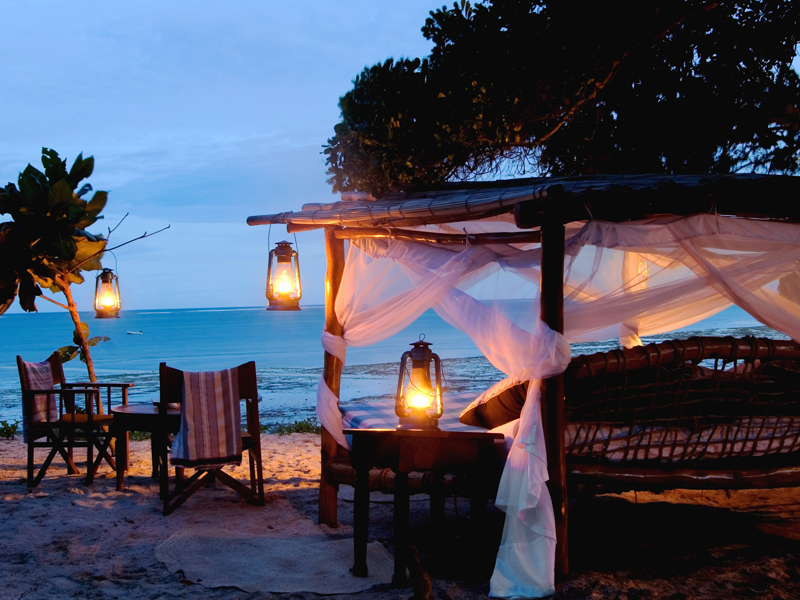 Our top choice for romantic travel, this idyllic beach retreat personalises your experience on the Kenya coast: choose between horse-back rides on the beach, private adventures to coral reefs & 18 holes on the local golf course. 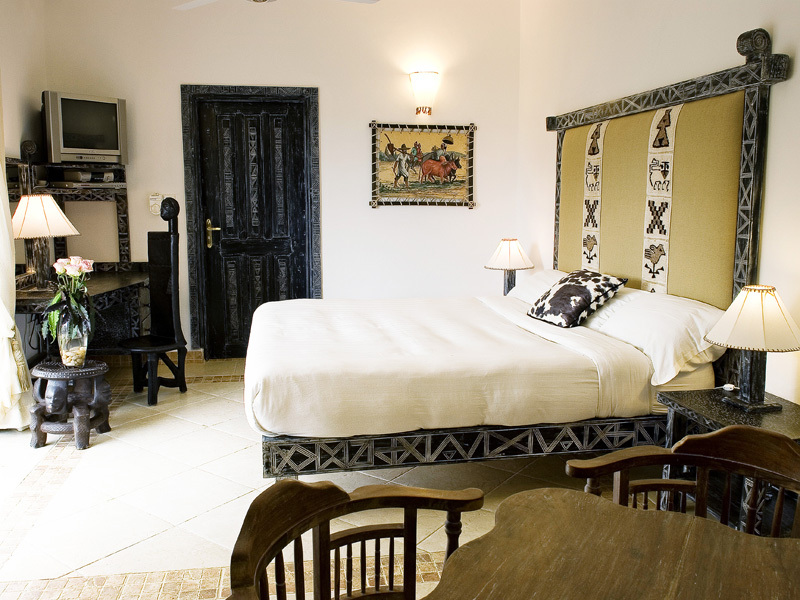 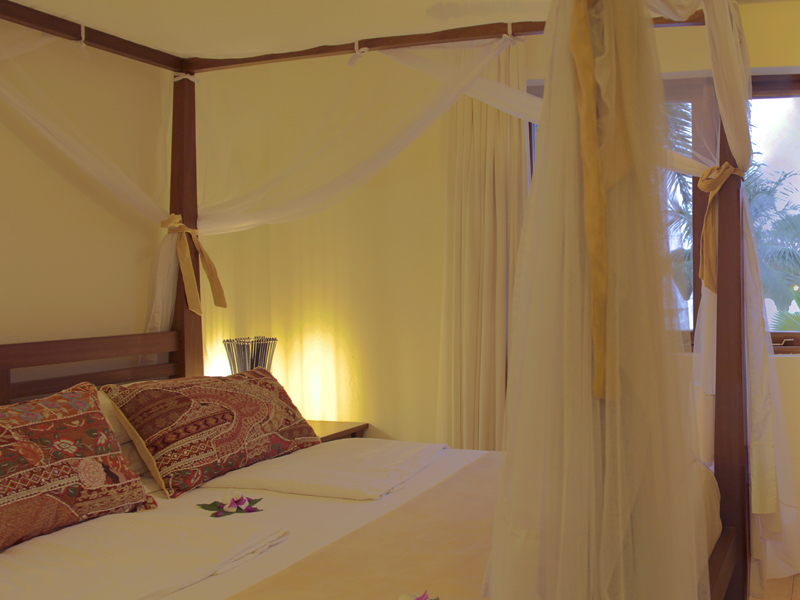 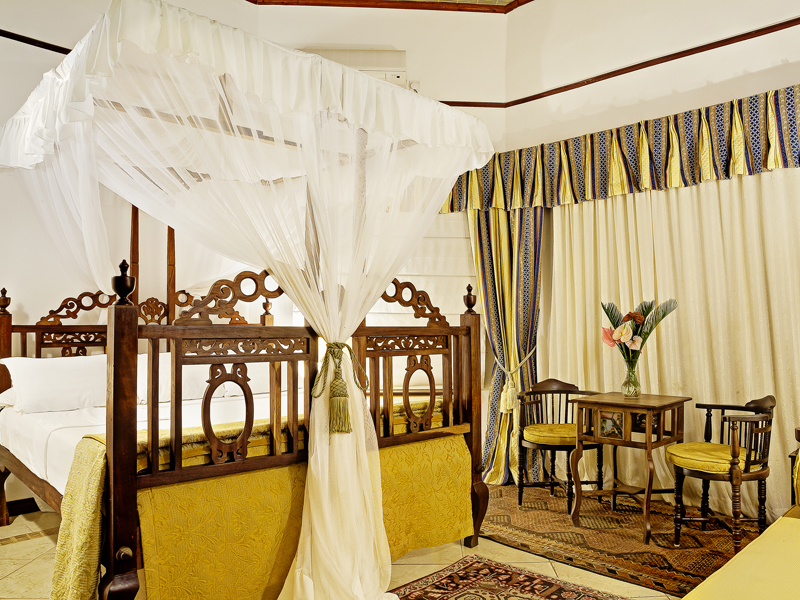 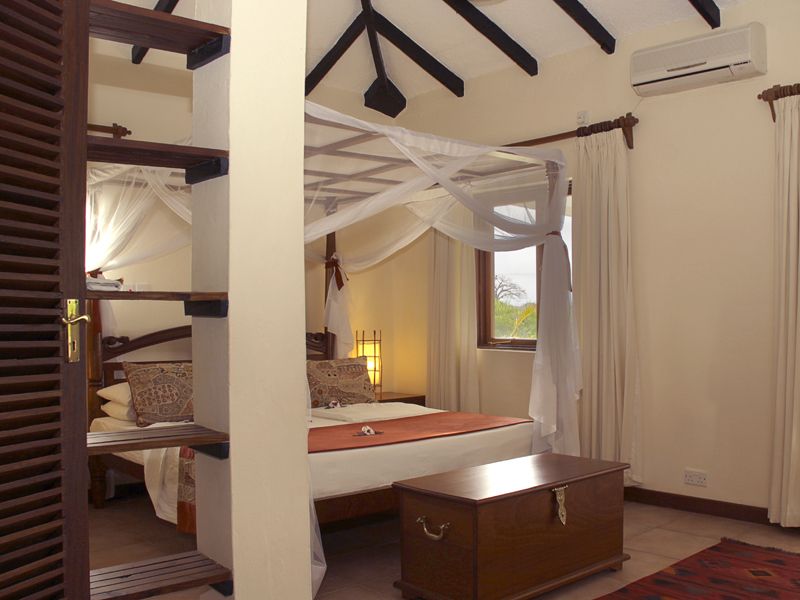 Suites are air-conditioned & come with a mini bar & Wi-Fi. 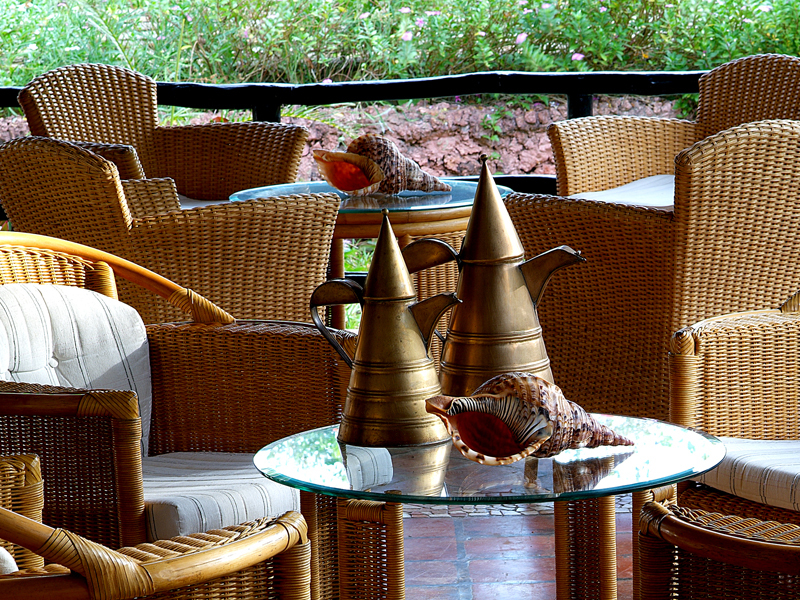 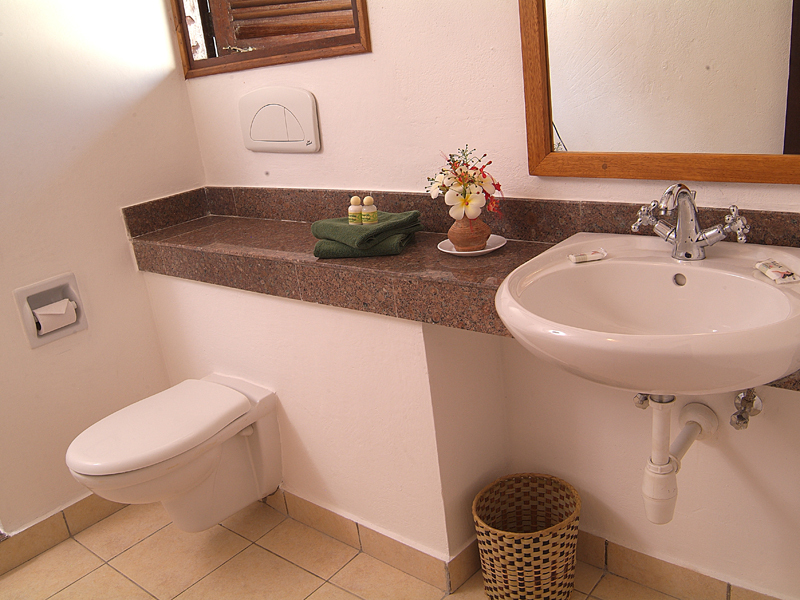 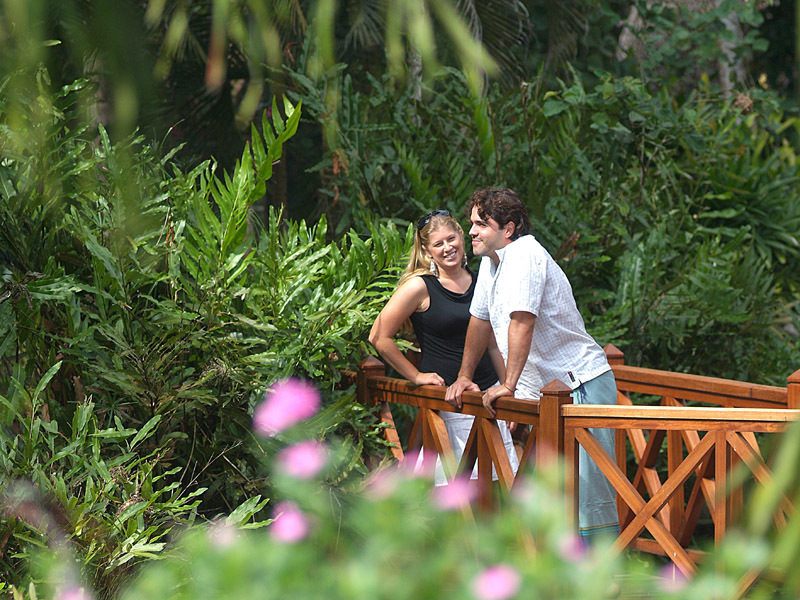 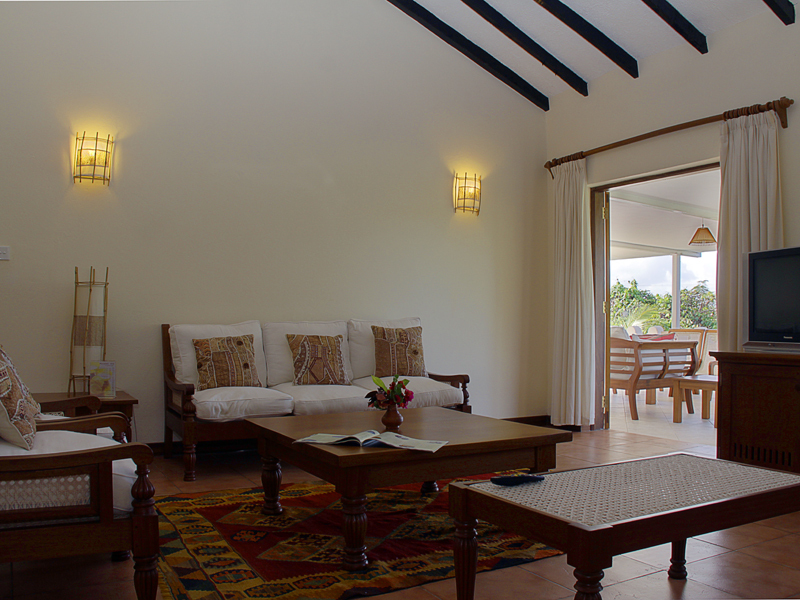 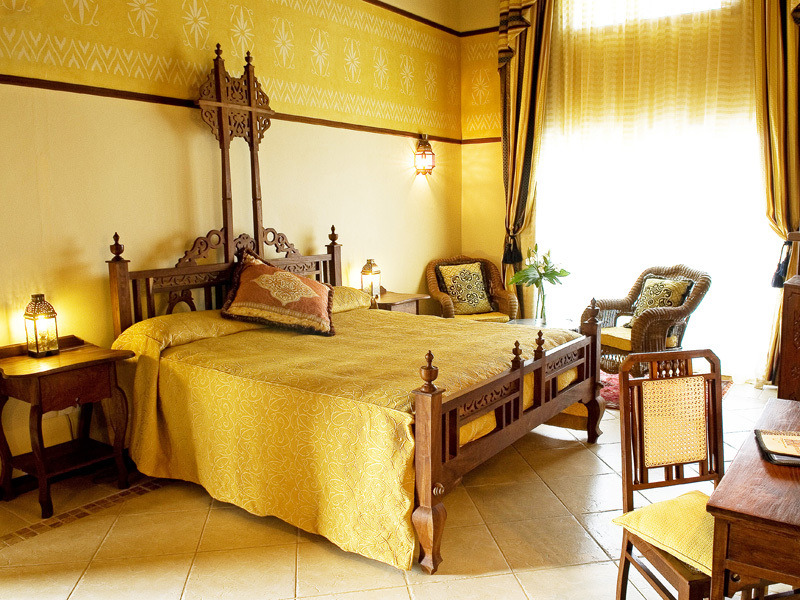 A larger resort, Pinewood is our first choice for an all-round, good value accommodation. 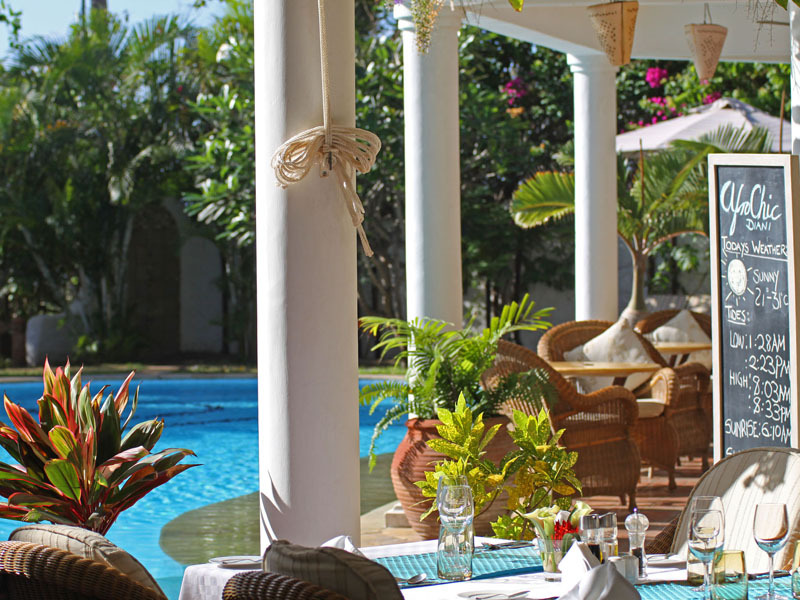 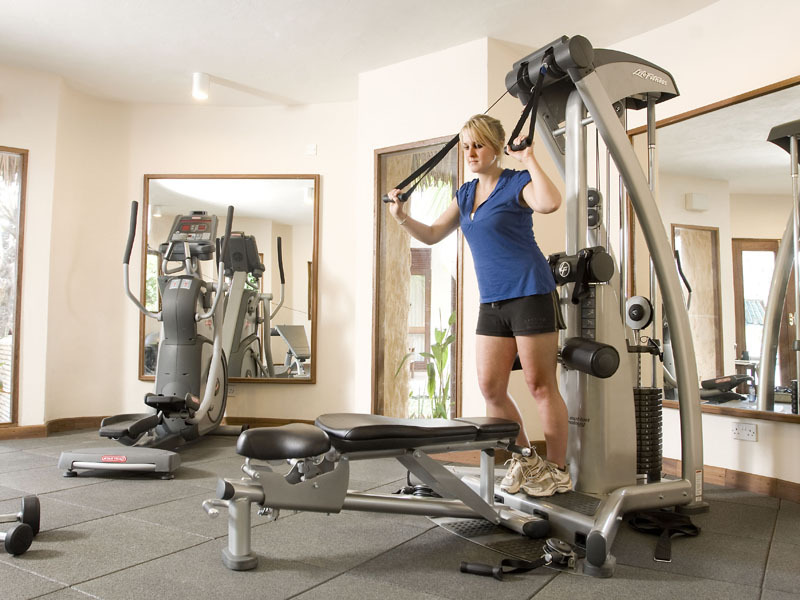 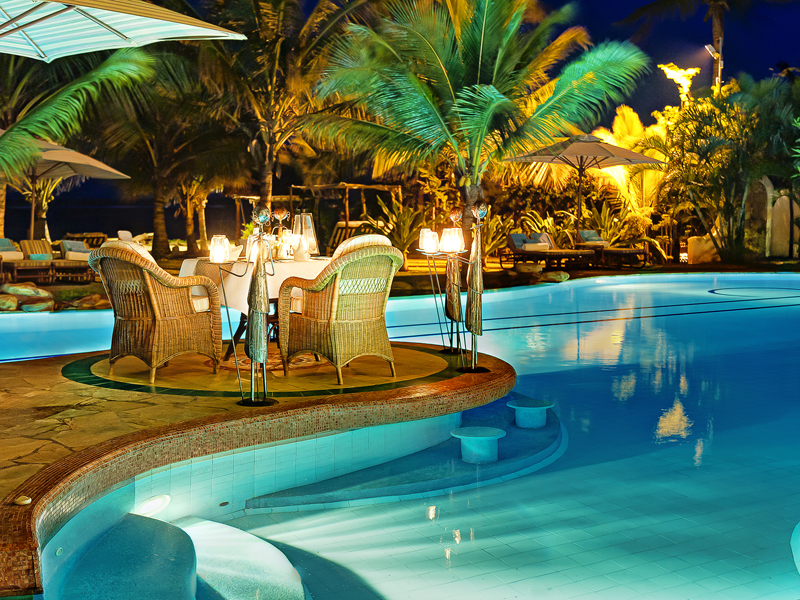 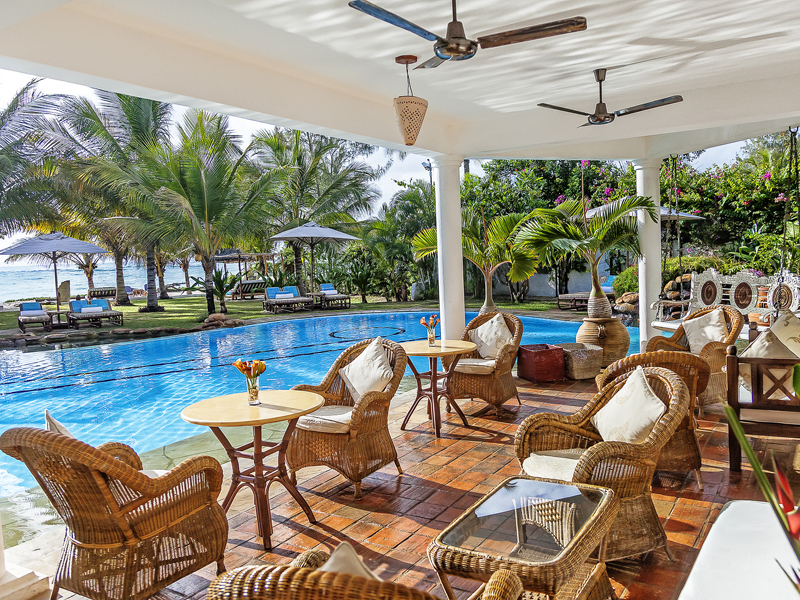 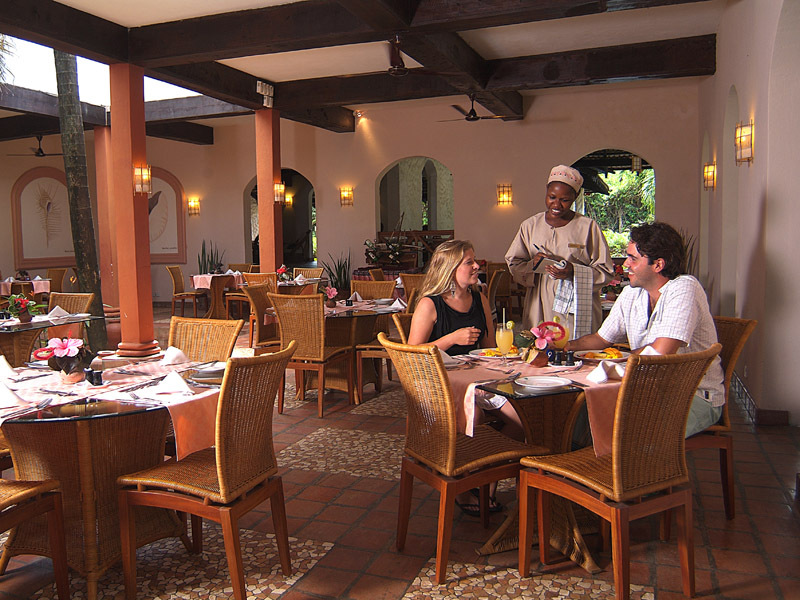 There is a long list of amenities from a gym & spa to several restaurants & a large pool with its own bar - & you walk out onto a stunning stretch of Diani Beach. 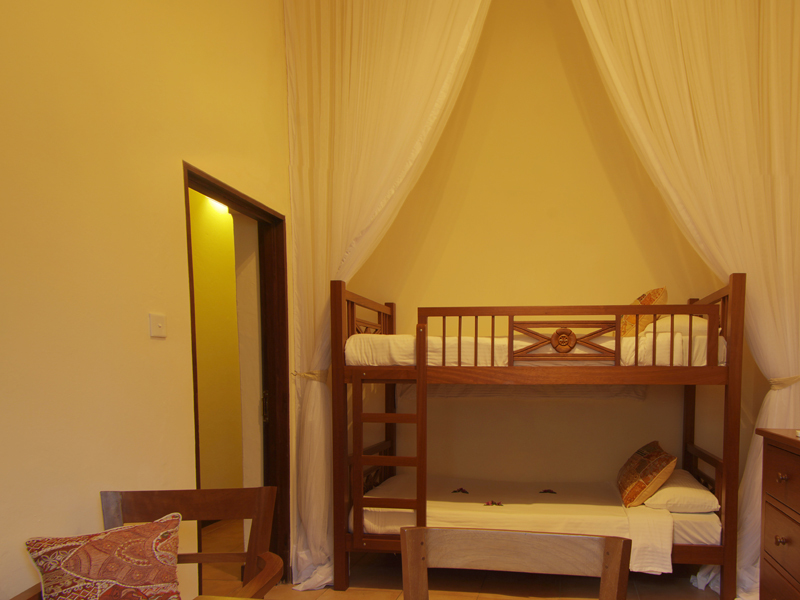 Children of all ages are welcome – baby-sitting is available.